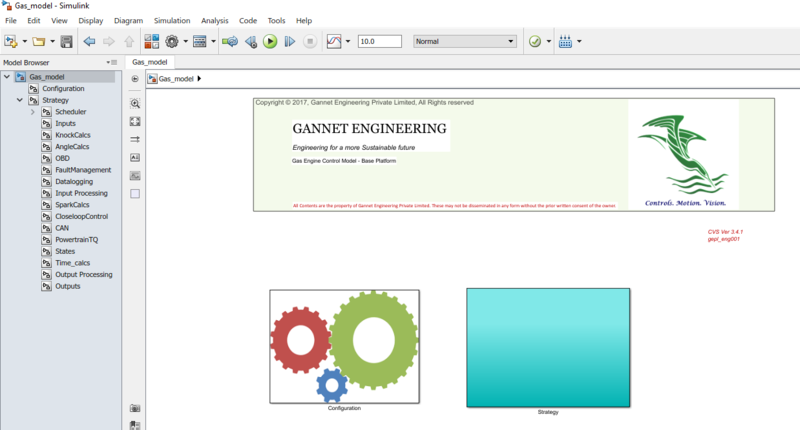 Ganneters have hands-on experience working with HD 2010, EU6 and EU4 level projects for IC engine development. We have also acquired similar knowhow for EV and HEV applications and are helping customers make this trasition. Our unique multidiciplinary team of Controls engineers, Calibrators and Software Experts are armed with best-in-class tools to develop modern Engine Management Systems. EMS development is a safety critical, expensive and highly complex activity which requires broadbased experience right from knowledge of legislation to Systems understanding to V&V to Modelbased development, ISO6262 (functional safety) and a variety of different standards and technologies. Gannet helps you undertake this challenging activity with our expertise at the core of the effort ably supported by products from our partner companies, and a terrific network of resource providers for our programs. In this, and our way of ensuring Knowledge transfer to our customers, Gannet offers a unique and unmatched value proposition in the Automotive industry. 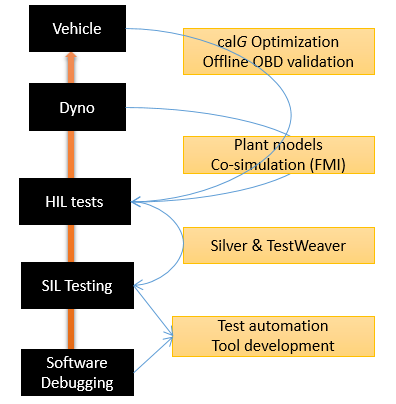 Tools: Matlab/Simulink and Autocode toolchain, calG, Raptor, Frontloading (road-to-rig) products, All calibration and CAN tools, SE and RM tools.